This is a self-assessment for T-spine rotation. You may need to record yourself doing the assessment and re-watch it for increased accuracy. If you can do the following without pain you are moving well: 1. Achieve 50° rotation . If you have pain with this movement or don’t meet the previously mentioned movement criteria, you need to work on your t-spine mobility/flexibility. This could mean you have tight connective tissue such as muscles, ligaments, fascia around your joints and/or lack of activation at specific ranges of motion in specific muscles that control this movement. The fix: simply put, perform your daily Movement Vault with an emphasis on the above areas. *In this test a negative test is referring to pain or not carrying out a specific criteria. This is a self-assessment for neck range of motion. The assessment is broken up into 3 parts: A, B, and C. You may need to record yourself doing the assessment and re-watch it for increased accuracy. If you can do the following without pain you are moving well: A. Chin touches chest. B. 80° neck extension C. Chin midway between clavicle (collar bone. 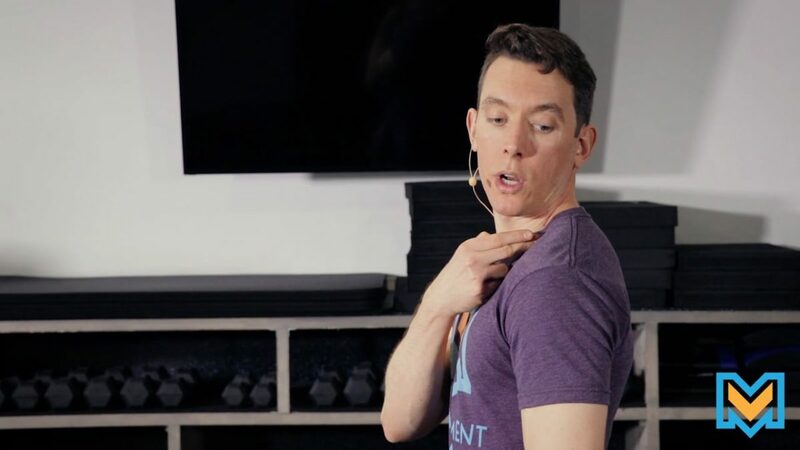 If you have pain with this movement or don’t meet the previously mentioned movement criteria, you need to work on your neck mobility/flexibility. This could mean you have tight connective tissue such as muscles, ligaments, fascia around your joints and/or lack of activation at specific ranges of motion in specific muscles that control this movement. The fix: simply put, perform your daily Movement Vault with an emphasis on the above areas. *In this test a negative test is referring to pain or not carrying out a specific criteria. This is a self-assessment for shoulder external and internal rotation broken up into 2 parts: A and B. You may need to record yourself doing the assessment and re-watch it for increased accuracy. If you can do the following without pain you are moving well: A. Achieve 90° external rotation. B. Achieve 60° internal rotation. If you have pain with this movement or don’t meet the previously mentioned movement criteria, you need to work on your shoulder mobility/flexibility. This could mean you have tight connective tissue such as muscles, ligaments, fascia around your joints and/or lack of activation at specific ranges of motion in specific muscles that control this movement. The fix: simply put, perform your daily Movement Vault with an emphasis on the above areas. *In this test a negative test is referring to pain or not carrying out a specific criteria. This is a self-assessment for shoulder flexion/ abduction. You may need to record yourself doing the assessment and re-watch it for increased accuracy. If you can do the following without pain you are moving well: 1. Achieve 170° flexion/abduction. If you have pain with this movement or don’t meet the previously mentioned movement criteria, you need to work on your shoulder mobility/flexibility. This could mean you have tight connective tissue such as muscles, ligaments, fascia around your joints and/or lack of activation at specific ranges of motion in specific muscles that control this movement. The fix: simply put, perform your daily Movement Vault with an emphasis on the above areas. *In this test a negative test is referring to pain or not carrying out a specific criteria. This is a self-assessment for shoulder extension. You may need to record yourself doing the assessment and re-watch it for increased accuracy. If you can do the following without pain you are moving well: 1. 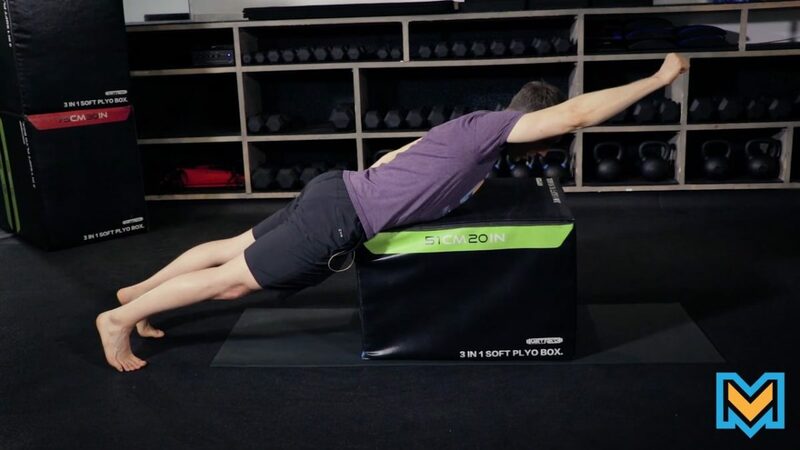 Achieve 50° active shoulder extension. If you have pain with this movement or don’t meet the previously mentioned movement criteria, you need to work on your shoulder mobility/flexibility. This could mean you have tight connective tissue such as muscles, ligaments, fascia around your joints and/or lack of activation at specific ranges of motion in specific muscles that control shoulder extension movement. The fix: simply put, perform your daily Movement Vault with an emphasis on the above areas. *In this test a negative test is referring to pain or not carrying out a specific criteria. This is a self-assessment for lat length. You may need to record yourself doing the assessment and re-watch it for increased accuracy. If you can do the following without pain you are moving well: 1. 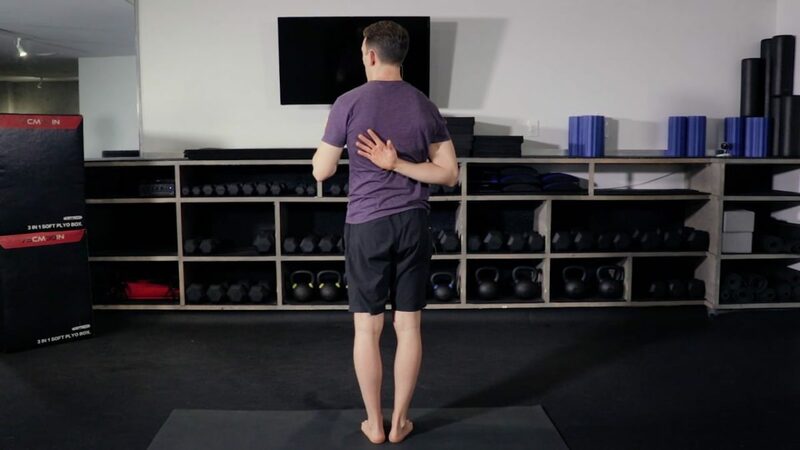 Back of hands touch ground with shoulders flexed to 170°. If you have pain with this movement or don’t meet the previously mentioned movement criteria, you need to work on your shoulder mobility/flexibility. This could mean you have tight connective tissue such as muscles, ligaments, fascia around your shoulder joint, specifically your lat muscle. The fix: simply put, perform your daily Movement Vault with an emphasis on the above areas. *In this test, a negative test is referring to pain or not carrying out a specific criteria. This is a self-assessment for global shoulder movement. You may need to record yourself doing the assessment and re-watch it for increased accuracy. There are 2 parts to this assessment: A. Shoulder flexion with external rotation assessment. B. Shoulder extension with internal rotation assessment If you can do the following without pain you are moving well: A. Touch top of opposite shoulder blade B. Touch bottom of opposite shoulder blade. If you have pain with this movement or don’t meet the previously mentioned movement criteria, you need to work on your shoulder mobility/flexibility. This could mean you have tight connective tissue such as muscles, ligaments, fascia around your joints and/or lack of activation at specific ranges of motion in specific muscles that control this movement. The fix: simply put, perform your daily Movement Vault with an emphasis on the above areas. *In this test a negative test is referring to pain or not carrying out a specific criteria. This is a self-assessment for global flexion. You may need to record yourself doing the assessment and re-watch it for increased accuracy. If you can do the following without pain you are moving well: 1. Touch toes 2. 70 ° sacrum angle 3. Uniform spinal curve. If you have pain with this movement or don’t meet the previously mentioned movement criteria, you need to work on your posterior chain aka the muscles on the backside of your body. This could mean you have tight connective tissue such as muscles, ligaments, fascia around your joints and/or lack of activation at specific ranges of motion in specific muscles that control global flexion movement. 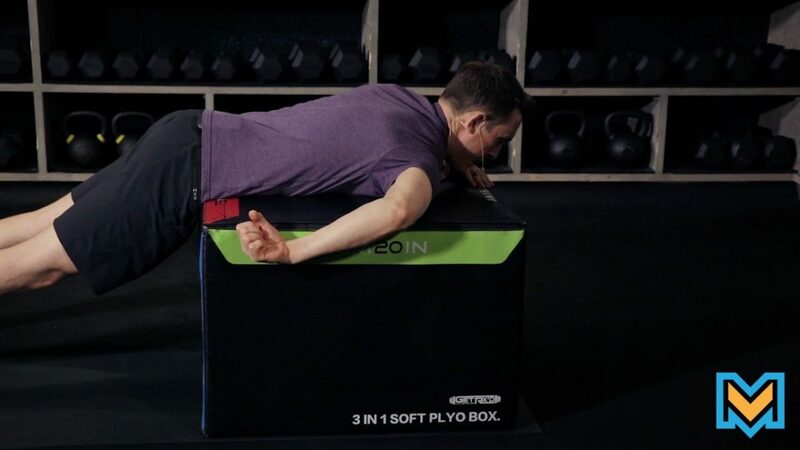 These areas could include hamstrings, “calves”, gluts, low and upper back.The fix: simply put, perform your daily Movement Vault with an emphasis on the above areas. *In this test a negative test is referring to pain or not carrying out a specific criteria. This is a self-assessment for global extension. You may need to record yourself doing the assessment and re-watch it for increased accuracy. If you can do the following without pain you are moving well: 1. Maintain a uniform spinal curve 2. Shoulder blades clear heel 3. Front of hips clear toes. If you have pain with this movement or don’t meet the previously mentioned movement criteria, you need to work on your hip, low back, and/or t-spine extension. This could mean you have tight connective tissue such as muscles, ligaments, fascia around your joints and/or lack of activation at specific ranges of motion in specific muscles that control global extension movement. The fix: simply put, perform your daily Movement Vault with an emphasis on the above areas. *In this test a negative test is referring to pain or not carrying out a specific criteria. 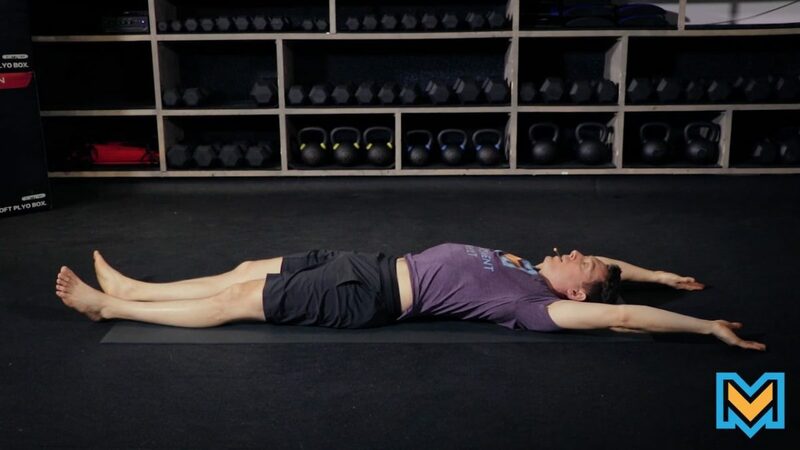 This is a self-assessment to look at your active straight leg raise. Watch this video to assess whether your posterior chain/hamstrings are restricted and your ability to activate your hip flexors. You may need to record yourself doing the assessment and re-watch it for increased accuracy. This is a self-assessment for hip flexion. Watch this video to assess how your hip moves into flexion. You may need to record yourself doing the assessment and re-watch it for increased accuracy. This is a self-assessment for hip extension. Watch this video to assess how your hip flexors move. You may need to record yourself doing the assessment and re-watch it for increased accuracy.